According to the Greater New Haven Chamber of Commerce there are 15 towns included in the region. 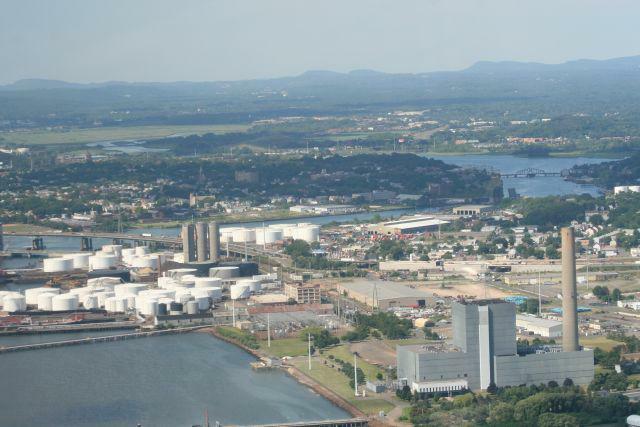 The City of New Haven is at the hub of these neighboring cities and towns which include Bethany, Branford, Cheshire, East Haven, Guilford, Hamden, Madison, Milford, New Haven, North Branford, North Haven, Orange, Wallingford, West Haven and Woodbridge. The shoreline communities to the east of New Haven and the landscape of East Rock and West Rock provide a backdrop for a variety of recreational, entertaining, historical and education attractions and events. There are three primary Interstates I-95, I-91, and I-84 that run along the shore and up through central and northern Connecticut and if you live in New Haven proper bus and taxi transportation are readily available. Commuters have many resources at their disposal. The Shoreline East and Metro-North trains carry commuters back an forth into New York from New Haven’s elegant Union Station. Amtrak connects the region with Washington, D.C. and Boston with trains running north and south along the coast. If you’re traveling by plane, Tweed Airport is close by and the airports in Hartford and New York are within a reasonable driving or limousine ride away. Whether you are looking for your first home, moving up, downsizing, investment property, seasonal cottage or a home near or on the water you can begin your search right now for all the Greater New Haven homes for sale.